Physical exercise and regular relaxation techniques will help you lead a healthier lifestyle. Apply the above tips in your daily life to give your mind and body the rest they truly deserve. A hectic lifestyle filled with stress and anxiety can cause certain problems to appear in your life. Tension headaches can be one of these problems. First of all, this issue is a sign that you should reduce your activities that cause stress. Try to breathe deeply and relax to allow your body to release that tension. A tension headache, or a “muscle contracture headache” is caused by psycho-emotional stress. It causes the neck muscles to contract, which triggers both physical and psychological tension that can last for hours. This headache is associated with an oppressive and full-bodied pain that radiates from your forehead to the back of your neck. It’s also accompanied by tension in the shoulders that limits your range of motion. 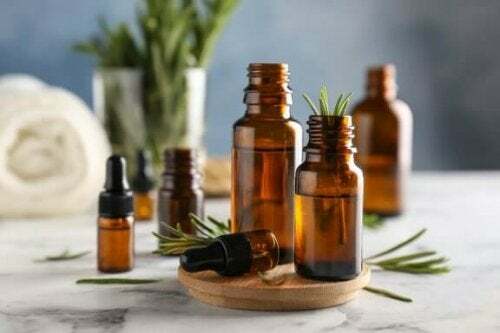 There are multiple drugs that you can take to reduce these headaches, but did you know there are also natural treatments for tension relief? 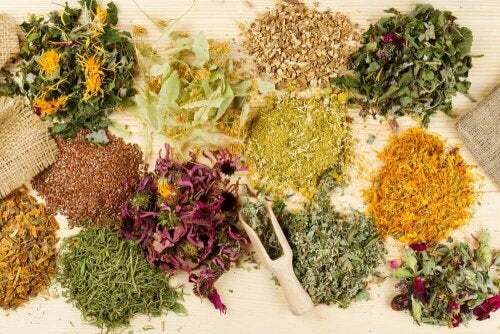 There are a wide variety of plants and home remedies with multiple benefits that include the alleviation of these symptoms. Today, we’ll tell you what they are. The root of the ginger plant is known for its anti-inflammatory and analgesic properties. 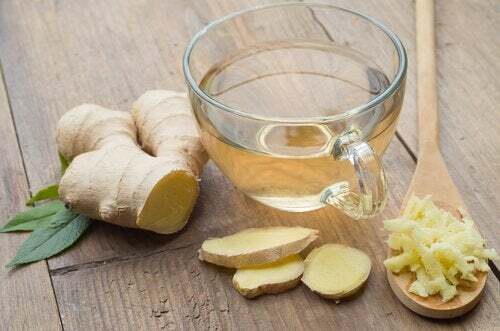 A simple cup of ginger tea provides immediate relief, even from the nausea produced by this type of headache. Ginger tea can help relieve the pain caused by a headache and also has positive impacts on other health conditions or discomfort. Chamomile is another herb that’s commonly used for this type of ailment. Its popularity dates back for centuries. Egyptians, Greeks, and Romans used this tea to treat pain and anxiety. 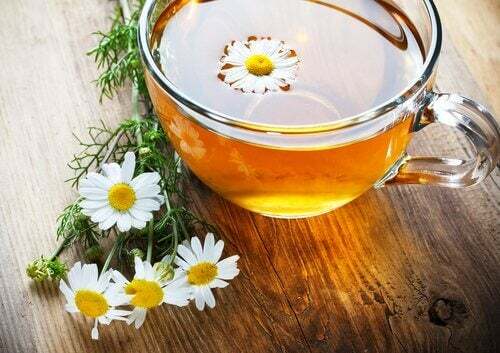 Chamomile tea is easy to make and is one of the herbs you should always have at home because the benefits are so extensive. Drinking a cup of chamomile tea will help you relax and stop that tension headache. 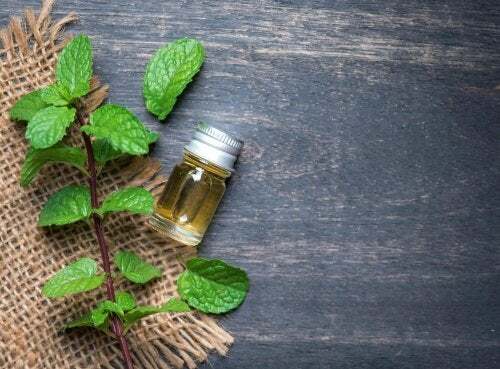 This is a simple, natural alternative that involves making mint tea and applying it to the surface of your closed eyelids for 20 minutes. It’s been shown to alleviate pain and relax the muscles of the eyes. 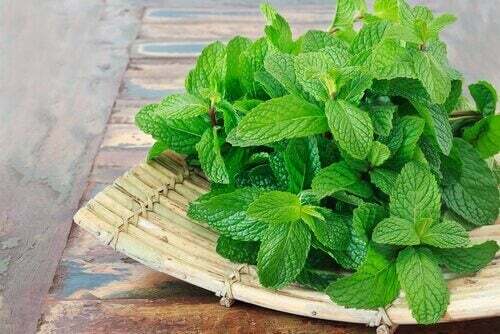 The properties of mint will provide relief and reduce tension. Compresses made with this herb will ease your discomfort. This mask provides pain relief through relaxation. 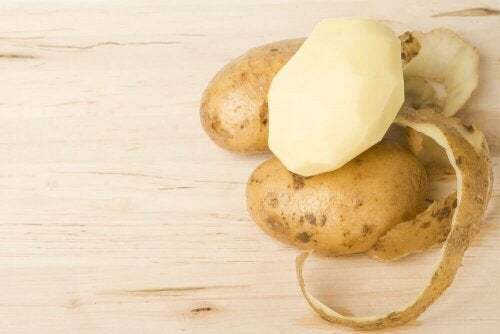 Apply compresses with cold apple cider vinegar and you’ll see how it works to alleviate the pain. Take a hot shower immediately after for instant soothing effects. 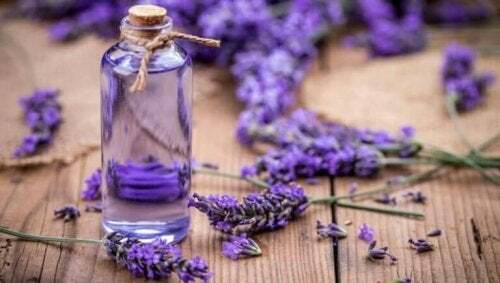 Whether as a tea or a topical oil, lavender relieves stress. It also provides similar benefits as an aromatic essence. Lavender tea is made by steeping the leaves in hot water. You’ll notice your body relaxing when you drink the tea made with this herb. This is a simple and natural alternative. Consume a tablespoon of olive oil with some lemon juice to reduce inflammation, promote good hydration, and improve circulation. It also alleviates tension in the neck and shoulders. Mix both ingredients and consume immediately. 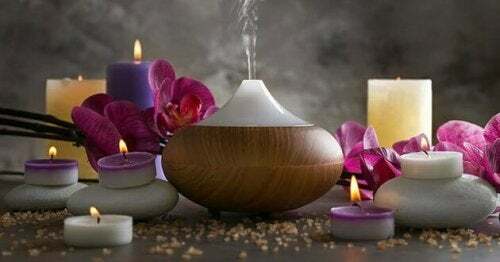 Aromatherapy consists of using essential oils and products derived from vegetables and herbs. The oils are added to hot water and the resulting vapor is absorbed by the lungs. Essences based on orange, cedar, tangerine, rose, and sandalwood all have relaxing effects. This is a medicinal therapy that alleviates the symptoms of stress. A diet rich in nutrients is the fundamental basis for treatment. 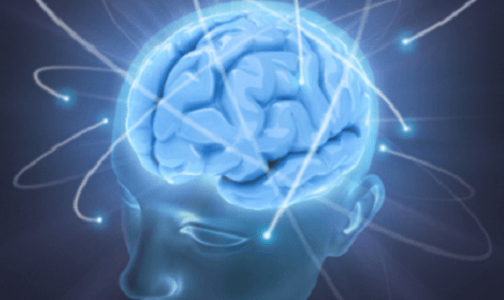 Taking vitamin B and magnesium can provide energy to your neurons that get overworked during the day. Other tips that are easy to apply in your daily life include getting good rest and avoiding overuse of the muscles during your daily activities. This is all made possible by keeping your neck in the right position during sleep and doing soft exercises of the muscles around the neck and shoulders. It’s best to avoid stressful and anxious states of mind. Establish your priorities and take a break between activities to release any tension that builds up. Physical exercise and regular relaxation techniques will help you lead a healthier lifestyle. Apply the above tips in your daily life to give your mind and body the rest they truly deserve. This will help you prevent tension headaches.